When others can’t see your pain and difficulty functioning, you may be faced with skepticism and doubt. 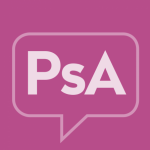 Those with an invisible illness like PsA often get accused of faking or imagining their symptoms. Many people think that if you don’t look sick, you can’t be sick. Has anyone ever made an insensitive remark like, “I wish I could lay around all day”? When others don’t see your symptoms but make a comment about your activity, how do you respond? When others don’t see your symptoms…. How has having an invisible illness affected your work life and relationships?